What does it mean to be British? In a post-colonial world this is the question nestled within our nation’s mindset. Vinay Patel’s sweet new play True Brits tries to unpack this for the post-9/11, post-7/7 generation. Eighteen-year-old Rahul loves the UK, he’s obsessed with Blur, can’t wait for the Olympics and has just fallen in love. He’s just a teenager trying to make his way in the world but after the London bombings on July 7 he begins to struggle to remain part of the paranoid British society that is beginning to mistrust him on sight. 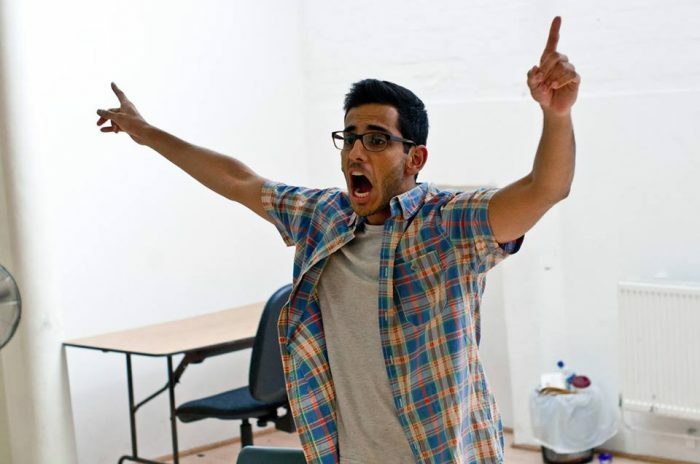 Patel’s play delicately unpicks the knotty issue of British identity as well as touching on issues of racism. It’s funny and done with an elegantly light touch and Sid Sagar gives a lovely, carefree performance as Rahul. We like this guy; we want to believe in his hopeful worldview. Hope is what defines Patel’s play and it’s a motivation that makes it all a little too tidy. The ending is beautifully constructed but the call back feels just that – very well made. Life isn’t as neat as that sadly and a bit more ambiguity would add some punch to this gently probing piece on national identity.